If you want to rent or hire a Limo anywhere on the Sunshine Coast and surrounding areas fill in the Free Instant Quote form on the right and book your chauffeur driven Limousine... TODAY!.. ​Luxury Interior of a Super Stretch Limousine. 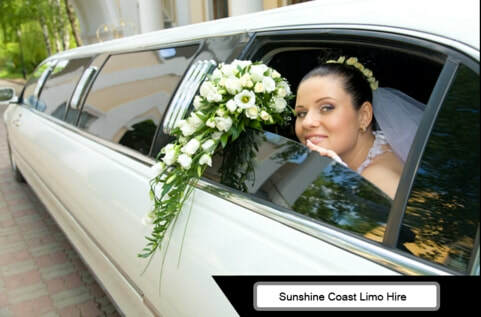 About Sunshine Coast Limousine Service? ​You see we are not the typical laid back sloppy taxi / transport company. It is actually the complete opposite. Our chauffeurs are some of the most knowledgeable, experienced professionals who care about YOUR satisfaction. Yes, our chauffeurs are not dragged off the street 'nobodies' shoved into a uniform, and told to "drive". ​​These are highly trained experienced, knowledgeable professionals who know the difference between an instruction, a question and a down-right urgent request. Failing to understand customers can be annoying frustrating and expensive, resulting in a stressful rather than stress free luxurious drive. This also means we can give you the best advice for anything going-on in the area, from the best local Doctor / Dentist or highest quality caring hair stylist to the most popular local sports bar. Bottom line is to book your limousine hire Sunshine Coast with us! 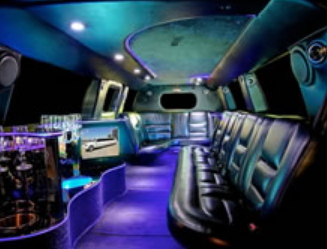 Sunshine Coast Limousines - SuperHeroes of VIP Private Transport? So yes, you could say we are the super heroes of luxury car rental in Queensland, especially for airport pick- ups and drop-offs, for Noosa airport transfers, Brisbane airport transfers. Then of course for wedding cars, stretch limousines and our super luxurious Sedans. 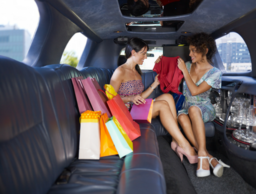 Whether you want a super sedan or to over-endulge in our stretched limo 'head turner' we have the vehicle for your luxury limousines hire in Sunshine Coast. ​The Most Complete Professional Perfectionist People trans-Portation Luxury Limo Car Hire & Limo Rental Service in Queensland ... and Beyond. ​Yep, we set the standard when it comes to VIP travel, not just for our luxury-car airport service with business class transfers but also for classic wedding car hire and private touring in style through the rainforest or an exciting river cruise or hunting for precious collectables and curios etc. We believe we are the super heroes of the chauffeur-driven pampered people movers from Noosa to Brisbane, Qld., not only for our super service but also because of our best price airport transfers. Even the other teams from Platinum Limos, 888 Limo Hire Sunshine Coast, Noosa VIP Limousines and Limoso are in awe of our excellent limo rental customer service, our immaculately kept interiors and our large range of vehicles at relatively cheap limo prices. In short we are THE one stop shop luxury people mover company at very reasonable prices! HOW DO WE COMPARE? ... Why Choose Our Luxury Limousines? The Best, The Top, The most luxurious, Spectacular, The Ultimate... all great adjectives very often used by our customers to describe our high quality luxury car service. Hey i am certain our competitors in and around this part of the Queensland coastal area can all provide you with fabulous cars for hire service. But why would you choose a mere GOOD service, when we are? what? Well, i am glad you asked - we are? "The Rolls Royce or the "crème de la crème" of pro limo Rental Sunshine Coast in Qld for wonderful wedding transfers; Hotel / Airport transfers; Complete Corporate Travel; Events and Conferences; Day Tours; Getaways; Special Occasions, Night outs, Shopping Excursions; Cruising in opulence; Live Concerts; Sports Events; Dining out in Style.... and many more! 1. Ontime Service... is part of the norm here at Sunshine Coast Limo Service. We schedule your elegant ride to arrive at the designated pick up location a good 10 minutes early. It's a good chance for us to impress. We want you relaxed and stress free for your journey. Contact us from here or call the number on this page. 2. Immaculate, Spanking Clean inside-out Vehicles.. Another chance to impress. Feel, See and Smell the super clean, super quality, first class vehicles. This is a shout out for my buddy on the west side who just opened his Perth limo check point.